Research out of Johns Hopkins University suggests that at least 1 in 3 adults in the US will develop difficulty swallowing as they age. A startling statistic coming from their report states that 25% of aging adults diagnosed with dysphagia will die within one month of receiving their diagnosis, and 50% dying within a year. Dysphagia can result in serious medical complications including choking, pneumonia, malnutrition, dehydration, weight loss, all of which can lead to death. It is critical that dysphagia clinicians and researchers continue to improve the prevention and treatment of this disorder. At the NFOSD, our mission is to advance the treatment of swallowing disorders in our lifetime, and one of the first steps needed to do so is to increase awareness of the prevalence and negative outcomes of dysphagia. Dysphagia affects 3.0% of all adult US inpatients (aged 45–90 years) and is associated with a significantly longer hospital length of stay, higher inpatient costs, a higher likelihood of discharge to post-acute care facility, and inpatient mortality when compared to those with similar patient, hospital size, and clinical characteristics without dysphagia. Dysphagia has a substantial health and cost burden on the US healthcare system. Webinar Description: Myofascial release (MFR) and manual therapy is an emerging treatment for patients who have dysphagia due to radiation-induced fibrosis following head/neck cancer. While there is limited published research to date on the use of this modality in swallowing therapy, reports of patient response and clinician experience with this treatment tool have been positive. Jen Carter, M.Ed., CCC-SLP, BCS-S is a speech pathologist with 25 years of experience treating adults with dysphagia. She is a board-certified specialist in swallowing and currently has a private practice in Denver, Colorado, the Carter Swallowing Center, specializing in the treatment of dysphagia. Jen has successfully treated numerous patients with dysphagia following head and neck cancer using myofascial release/manual therapy as part of her swallowing treatment. In addition to treating patients at her swallowing clinic, Jen frequently lectures on dysphagia treatment at the local, state, and national level. 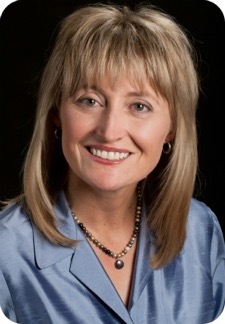 She has a blog about dysphagia treatment on her website www.carterswallowingcenter.com , and she has written about various dysphagia topics for the SIG 13 Perspectives, The ASHA Leader, and the blog, Dysphagia Café. She is an instructor for the VitalStim Therapy course and has recorded webinars about esophageal dysphagia, neurophysiology of swallowing, and exercise physiology principles in swallowing treatment for CIAO Seminars.